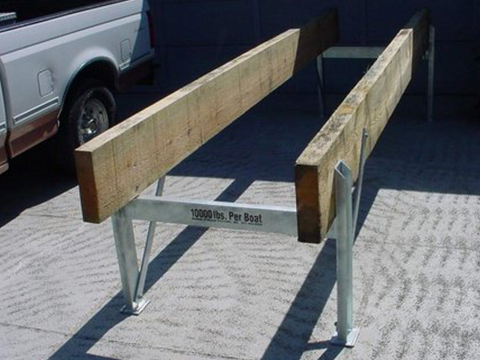 This stand is manufactured the same as our standard Yard Rack with the exception of an angle for the foot plate to add extra support for boats wider than 8 feet. 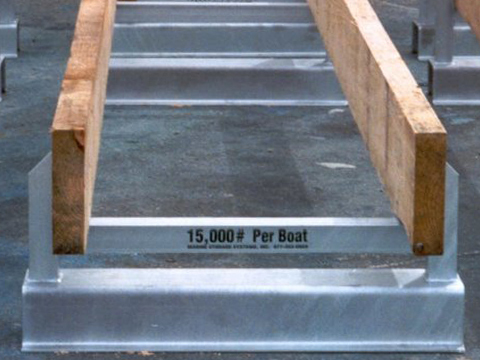 This stand is manufactured in 10,000# and 12,000# per boat capacity. 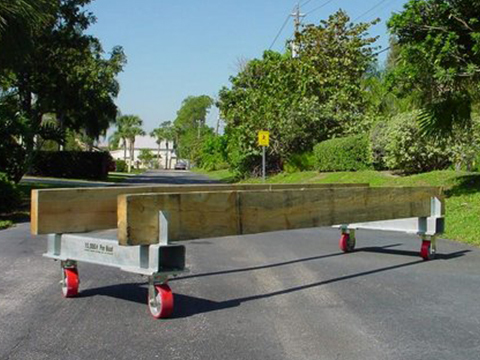 The height on our standard model is 22" to the bottom of the lumber and a 4" drainage is built in. 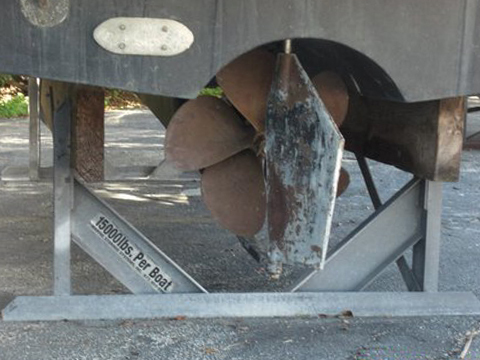 This stand is manufactured in two different per boat weight capacities, 15,000# and 20,000#. 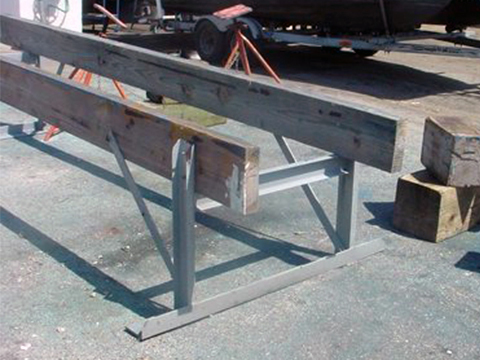 We also offer three different heights to bottom of lumber. 6", 12" and 18". 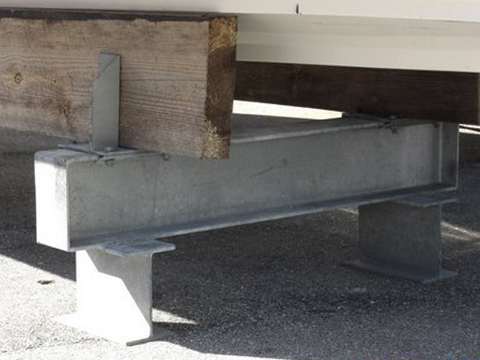 Check in to see our latest project! Thanks for dropping by. 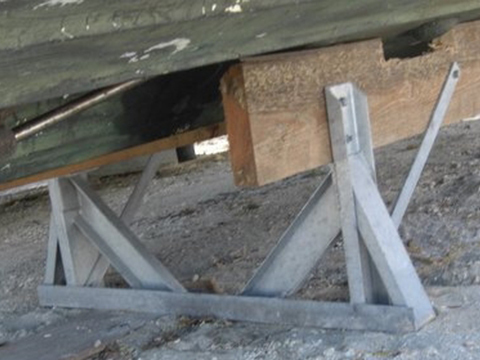 Please contact Marine Storage for your next boat rack project!